Jason,Your honesty in the first sentence is well apprisheated. There are many papers from high ranking Scientest in resent years that are frodulent at best. Rodda & Reed USGS. of resent reporting on Pythons is the most glareing curent paper that actually inacted a new law of the Federal Lasey Act.And recieved an award from the current Dept.of Int. Others are just Lazy work by high degreed people producing high school quallity D- acheavment.Your statements here though well intended and not aginda driven like the above menchened lack Comparative analysis and empirical evidence on every example. (examp.We know all Tortoises have week Kidneys) Also your talking about all tortoises as if they all have the same needs. You conclude that it is all boiled down to drinking water and grass. 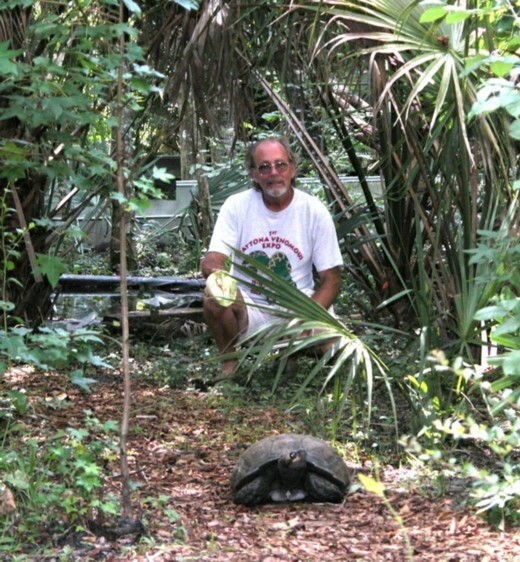 An example of tortoises who have little to no grass are from the dark rainforest of Asia. Many are grassland hindgut furmenters and Rumnents, while others carrion. Again compairing Humans to animals,sone of these tortoise like Manouria have been documented in Nature eating Alacasia and Calacasia ssp? like our NA Toro or Elephant Ears as part of their diet* (Sanford in press per.com) and others.I have seen Manouria eat Fungi and Mushroons and Fyladendrons. Russiana Egyptions and others do not drink much water. I do agree that higher than normal protein (in nature)can cause Kidney failure. In Manouria it will turn it into fat and the animal will die from to much fat in the liver. I do share your feeling that humidity has nothing to do with it ,BUT it would be hard to un-prove the exstensive work on this by Richard Fife. Vic Morgan ...(yes I'm a bad speller) Defying Destiny Manouria Reserve. 24th yr 1st. 2nd gen CB M.e.phayrei offspring and other published work.